Finding funds for a home improvement project is tough, but it is possible to find a home improvement grant in Florida. The state, your local county and even the federal government has funds set aside for homeowners who need them. Information on home improvement grants in Florida is available via online databases, such as HomeBuyerFunds. Grants are offered for low-income residents, those over 62, those living in historic neighborhoods and a variety of other groups. Have an income at least 50 percent below the state median. The maximum grant amount is $7,500. To apply, select Florida and your county from the site map. From there, you will be directed to the appropriate office to call for an application. Those with children living in the home under the age of 12. Additional money is available for specific towns and counties. To apply, and to see if your town qualifies for additional funds, visit the US Department of Energy and call or email one of the representatives listed, or scroll down to select your town and see if funds are available. The Florida Division of Emergency Management offers a series of grants and loans to improve the wind resistance of Florida homes by evaluating and improving the structural support of homes and providing tie-downs for mobile homes. You can apply for funds through the FEMA Individual Assistance Fund. Special consideration is given to homeowners who are repairing their homes after storm or hurricane damage. This state-wide initiative provides funds to local communities for housing and to improve neighborhoods with renovations, new storefronts and street improvements. It is run through the US Department of Housing. You can apply online after finding out if you are eligible for any of the programs listed on their site. Many towns hold funds specifically for homeowners in that area. Pay a visit to your local town hall to see what may be available. Low-interest loans are also available for homeowners through the federal government, such as with the Housing and Urban Development programs and via state programs, such as county first-time homebuyer remodeling loans. Qualifications for these loans are generally less stringent than those for grants. Grant projects and their details are matters of public record. Don't be misled into paying a company to find or compile this information for you. The United States and Florida governments have money set aside to assist with home improvement projects for many Florida homeowners. 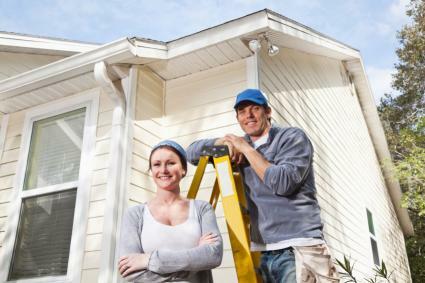 Before you decide that you can't possibly afford the repairs you'd like to make on your home or that you'd have to get a loan to do the work, take a few minutes to see what money is available. The return on investment for your time and effort will be well worth it.